NEW! Drop In Information Sessions. We have set up a number of new Information Sessions. You can just Drop In at Eastleigh Shopmobility. If you would like to download the poster onto your device please download it here. 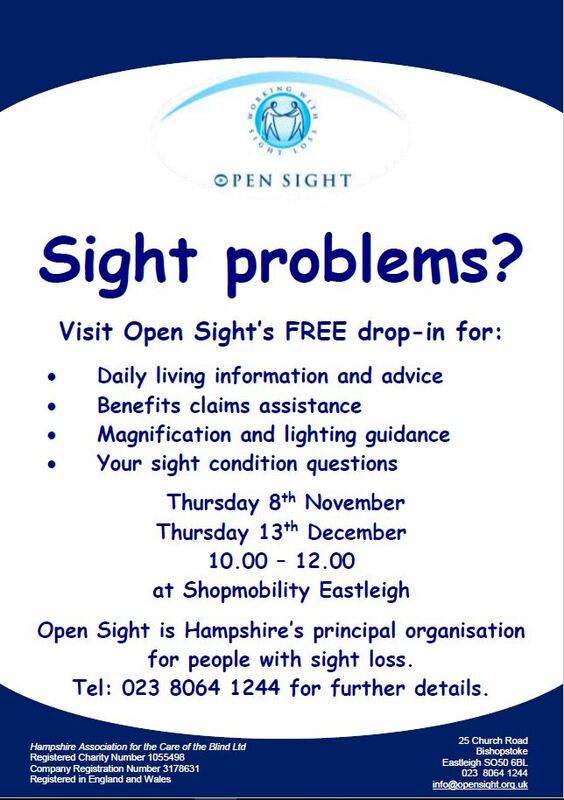 Drop into Eastleigh Shop Mobility on Thursday the 8th November and Thursday the 13th of December, from 10-12 and meet with Open Sight. Open Sight is Hampshire’s principle organisation for people effected by sight loss. It is a drop in session, therefore there is no booking needed.